Officially, the musical director of the 1990 Eurovision Song Contest in Zagreb was Igor Kuljerić. Kuljerić, however, who was a classical conductor, chose Stanko Selak as his ‘assistant’, which in practice meant bringing together the musicians to form a suitable orchestra as well as rehearsing all entries. During the live broadcast, Selak – an accomplished trumpeter in both classical and popular music – conducted the Cypriot entry ‘Milas poli’, since the delegation from Cyprus was the only one not to have brought a guest conductor along to Zagreb. Professor Stanislav ‘Stanko’ Selak, the fifth child of a former Austro-Hungarian army officer, was born in Sarajevo, but grew up in Rijeka and, from his seventh year onwards, in Zagreb, where he finished grammar school in 1947. As a young boy, he was taught the piano by his half-sister Eleonore; however, it was not until a couple of years later that his fascination for music really awoke when, upon the end of World War II, he had the opportunity to listen to American jazz music for the first time in his life. He immediately bought himself a trumpet and taught himself the basic principles. 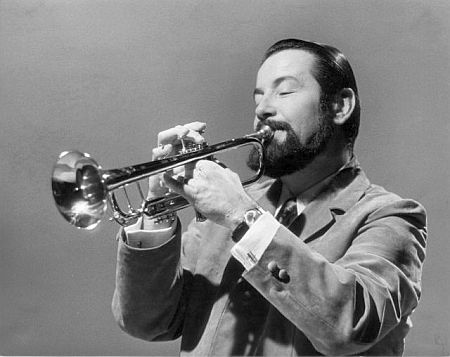 Selak quickly became involved in the Zagreb music scene, playing the trumpet in Miljenko Prohaska’s Big Band as well as writing some arrangements for it. “But I discovered that writing was not my passion”, Selak comments, “I was not the kind of person to sit at home at my desk in my pyjamas, penning those arrangements. My ambition was to be on stage dressed in smoking. That was the life for me!” In the late 1940s, Selak was the conductor of his own variety orchestra, which he led for two years and with which he accompanied many show artists from Yugoslavia and abroad. Gradually, however, both jazz music and variety entertainment were suppressed by the communists and Selak was forced to disband his ensemble. Meanwhile, he had entered the Zagreb Conservatory, where he studied the trumpet as well as the piano, harmony, counterpoint, and musical form, graduating in 1954. Some years later, he continued his studies with Professor Franz Dengler at the University of Music and Performing Arts in Vienna, where he obtained his diploma in 1959. In 1955-’56, Stanko Selak for the first time worked in a professional classical orchestra, playing the principal trumpet in the RTV Zagreb Chamber Orchestra of resident conductor Antonio Janigro. Belgian maestro Vanray Mortell took Selak and the orchestra with him on a two-month-tour across Europe. 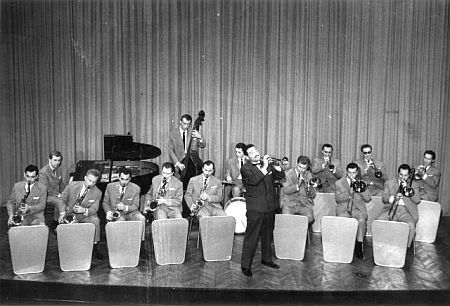 After a short spell with the Symphony Orchestra of Yugoslavian Radio (1956), Selak was engaged as the solo trumpeter with the Zagreb Philharmonic Orchestra. With this classical ensemble, led by Milan Horvat, Selak played in countless concerts and made several recordings for Philips Records; with the Zagreb Symphony Orchestra and pianist Stjepan Radić, Selak recorded the Concerto in C minor for Piano, Trumpet, and String Orchestra by Dimitri Shostakovich. 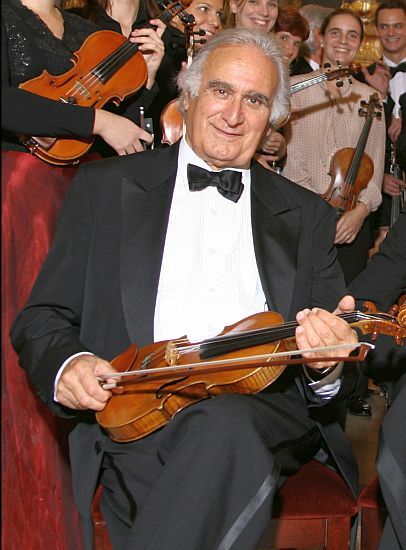 During those years, Selak worked with such acclaimed maestros as Lovro von Matačić, Carlo Cechi, Kirill Kondrashin, Lorin Maazel, Zubin Mehta, and Claudio Abbado. This was by no means the first time Selak travelled to West Germany. In the early 1950s, just after his variety orchestra had been banned by Yugoslavian authorities, he was granted permission to leave the country with a newly formed band, with which he played in bars in Düsseldorf and Hamburg. Afterwards, Selak worked as an instrumentalist in the ensemble of Austrian violinist Willy Horn – mainly for American soldiers based in West Germany – as well as in the Joe Wick Orchestra, which had an engagement in the Haus Vaterland theatre in Hamburg at that time. Later onwards in the 1950s and early 1960s, Selak regularly returned to West Germany for freelance work and performed with various orchestra leaders, including Lutz Dietmar and Max Greger. In 1959, Selak formed a band – including Miljenko Prohaska on the double-bass – with which he replaced Johannes Fehring’s orchestra in Vienna’s Volksgarten for one month, while he took the same ensemble to Hamburg in ’61 for a one-month-engagement in Tanzpalladium Lido. 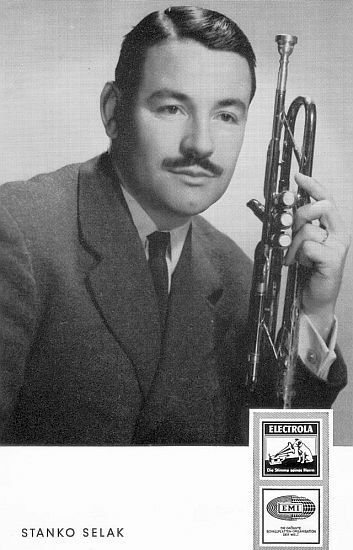 Between 1966 and 1968, Selak was the principal trumpeter in Hugo Strasser’s band, which played dance music in various hotels and bars in Munich. Strasser introduced him to the world of studio recording and it was not long before Selak was signed by the Electrola label; Electrola released his solo instrumental recordings, including the album ‘Sonne über Dalmatien’ and the singles ‘Monte Rosa’ and ‘The end of a wonderful day’ – the latter composed by Selak himself in collaboration with Hugo Strasser. 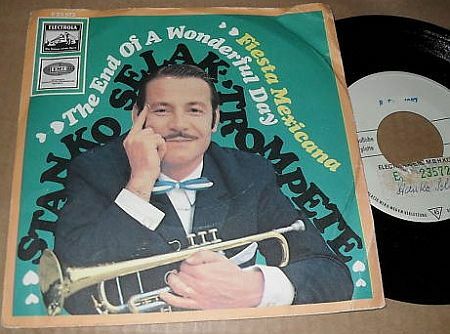 With Ray Anthony, Heinz Schachtner, and Milo Pavlović, Selak formed the studio quartet The Golden Trumpets, of which several albums were successfully marketed in West Germany and beyond; recordings featuring Selak were also sold in the USA and Japan. Moreover, he was a session musician for Esther & Abi Ofarim on multiple occasions and went on a two-month-tour with Vicky Leandros. Selak returned to Zagreb in 1968. In the 1960s and 1970s, Stanko Selak developed a wide range of activities in Yugoslavia. With the same orchestra he had taken to Austria and West Germany in ’59 and ‘61, he recorded a string of big band titles for RTV Belgrade. From 1961 onwards, he was involved as a performer in virtually every edition of the Music Biennale Zagreb, an international festival for contemporary classical music. For RTV Zagreb, Selak and pianist Vladimir Krpan recorded the piece ‘Sonata for trumpet and piano’, which composer Stjepan Šulek had written with Selak’s abilities as a trumpet player in mind. 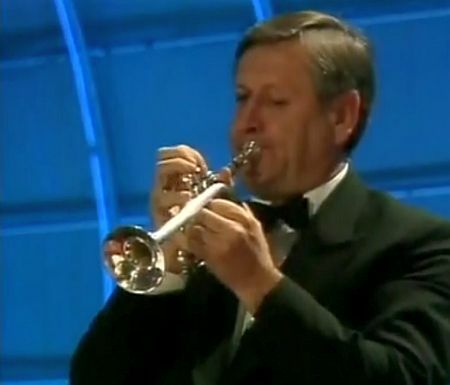 In 1971, Yugoslavian national radio awarded Selak with the prize for best solo recording for his interpretation of Igor Kuljerić’s new composition ‘Figurazioni con tromba’; that year, this concerto, in which Selak played four different brass instruments, was performed live on two occasions: first with the RTV Zagreb Symphony Orchestra and later with the Zagreb Philharmonic Orchestra. 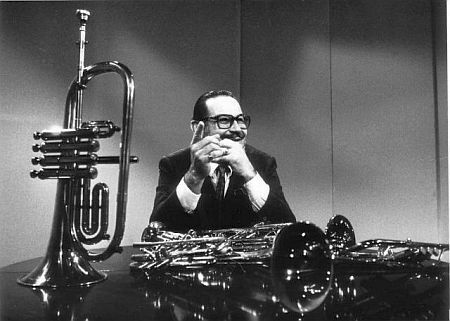 In 1971, Stanko Selak, who had been invited by Quincy Jones to perform with his jazz orchestra in Rome a couple of years earlier, formed a progressive jazz ensemble. In the field of light entertainment music, he often worked as a trumpeter and conductor in studio sessions, recording albums with the likes of Mišo Kovač and Ivo Robić. The 1979 album ‘YU Disco Expres’ by pianist and keyboard-player Igor Šavin and the Stanko Selak Orchestra is one of the most interesting examples of experimental pop music in former Yugoslavia. Selak was the musical director of the 1971 Zagrebfest of Popular Music and three consecutive editions of the Festival Melodije Istre i Kvarnera in Opatija (1972, 1973, and 1974). The most important feature of the latter part of Stanko Selak’s professional career is constituted by his activities as a trumpet teacher at various conservatories and music schools. Between 1962 and 1966, he was an honorary teacher at the Ljubljana Music and Ballet Conservatory. Amongst his students there was Anton Grčar, who took over Selak’s position at this academy in ’66. Grčar and Selak later performed together on stage, playing Vivaldi’s ‘Concerto for Two Trumpets’. 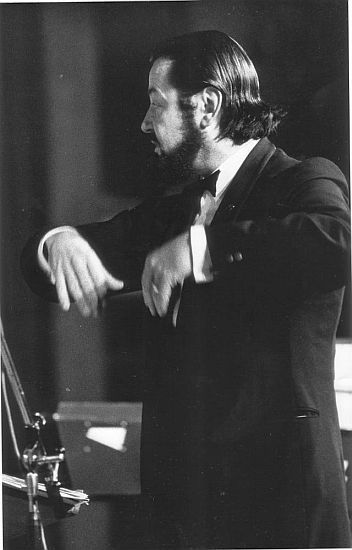 In 1968, upon his return from West Germany, Selak started his long association with the Zagreb Academy of Music, initially as a lecturer, but subsequently as a professor. At the academy, Selak introduced brass choir as a compulsory subject; in 1972, he formed the Stanko Selak Big Band, consisting of his own students. Many of his graduates found their way into Yugoslavia’s top classical orchestras. 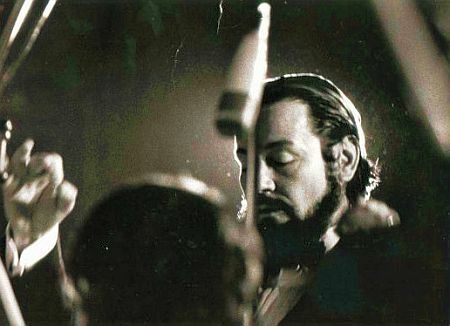 His reputation extended beyond the borders of Yugoslavia, being invited by Professor Roger Delmotte to be a jury member in the International Toulon Trumpet Competition on two occasions (1976, 1981). Selak’s tenure at the academy ended after twenty-five years, when he was pensioned off in 1993. Between 1985 and 1987, Selak worked as an honorary professor at the Sarajevo Music Academy. Moreover, in 1985 and 1986, he was invited to lecture at the Cologne University of Music, West Germany’s largest conservatory. 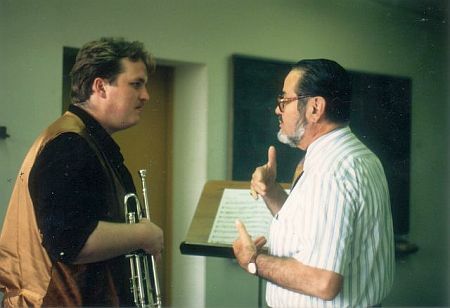 This led to a permanent appointment as a professor; Selak taught classical trumpet as well as instrumental pedagogy in Cologne between 1987 and 1994. Stanko Selak was the artistic director of the annual summer music festival held on the island of Vis between 1985 and 1991, organizing ten concerts of classical, jazz, and popular music each year. After Croatia’s independence, Selak became the conductor of the Brass Ensemble of the Croatian Army Symphony Wind Orchestra. Having previously been responsible for writing the trumpet course for the newly founded Zagreb Jazz Institute, Selak published a textbook on brass instruments methodology in 2011, which was immediately included in the curriculum of the conservatories in Zagreb and Ljubljana. In that same year, he was awarded with the Town of Vis Prize in recognition of his indefatigability in promoting cultural life on the island. In 1989, Yugoslavia had won the Eurovision Song Contest in Lausanne with Croatian group Riva and the song ‘Rock me’. Subsequently, it was decided upon to organize the 1990 festival in the Vatroslav Lisinski Hall in Zagreb, Croatia. In hindsight, 1990 was the last year before hostilities started which sounded the death knell for Yugoslavia; as the situation was already quite tense at that time, it came as no surprise that the festival was organized completely by RTV Zagreb, with no role whatsoever for any broadcaster from the other republics constituting Yugoslavia – least of all RTV Belgrade. 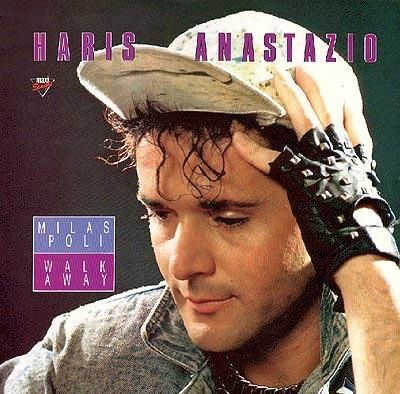 Anastazio performing 'Milas poli' for Cyprus in the 1990 Eurovision Song Contest. By mistake, Netherlands' commentator Willem van Beusekom introduces composer John Vickers as the conductor, while, in reality, the orchestra for this entry was led by Stanko Selak. Bas Tukker interviewed Stanko Selak, December 2010. An interview with Stanko Selak in Croatian by Ivica Župan was published in WAM (= Webzine about Audio and Music) no. 13 (2002). This article also offers a short career overview of Selak. 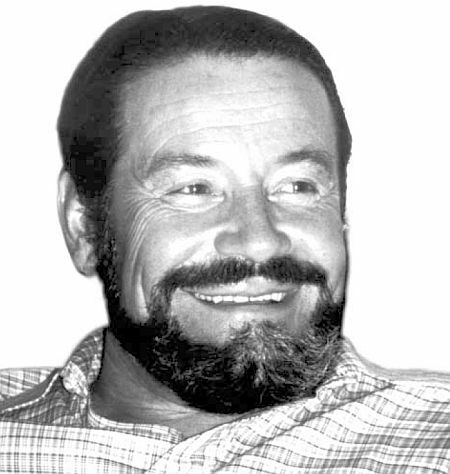 Many thanks to John Vickers (composer of the Cypriot entry in 1990) for his valuable additional comments, and to Thomas Vogel for sharing his memories about Stanko Selak with us. Several pieces of Igor Šavin’s album ‘YU Disco Expres’ (with Stanko Selak’s orchestra) can be found on YouTube, including the spectacular piece ‘Alfa’. All pictures courtesy of Stanko Selak, except for the photo of Azúcar Moreno (courtesy of Peter Langenberg).